James Fallows has been a national correspondent for The Atlantic for over three decades. Deborah Fallows is a linguist and author. Together, they spent five years travelling the US, compiling a surprising portrait of the civic and economic reinvention taking place across the country. The result is their new book Our Towns, released today. Documenting the grassroots changes, generally out of view of the media, Our Towns: A 100,000-Mile Journey Into the Heart of America has already been praised by Publisher’s Weekly as “an eye-opening, keenly optimistic reminder of the strength of American’s vital center.” Check out James and Deborah Fallows on CBS Sunday Morning, discussing the inception of the book, the process of writing it, and how craft breweries factor into America’s renewal. 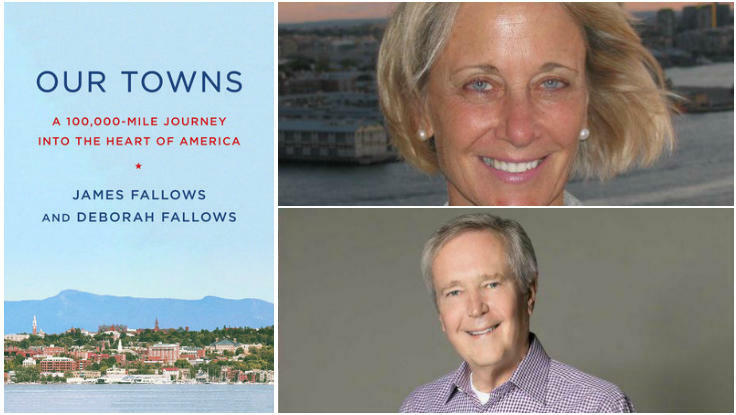 To book James Fallows or Deborah Fallows, contact The Lavin Agency.